Attracting new customers is the most challenging think any new business faces. To solve this issue, there are embed tools to engage customer sign-up success or send a request and. The process of converting new registrations into active users, or onboarding, demonstrates your product’s value, educates users and guides them through the features of your WordPress website. We’ve collected two use cases that allow you to make your own impression how to use embed contact form to increase customer satisfaction and reduce support costs. «Help Catcher» – is a simple embed code you can add to your website, which enables customers to contact you without leaving the page. Choose background, hover colors, conversation text and be prepared for a new flow of customer’s requests. 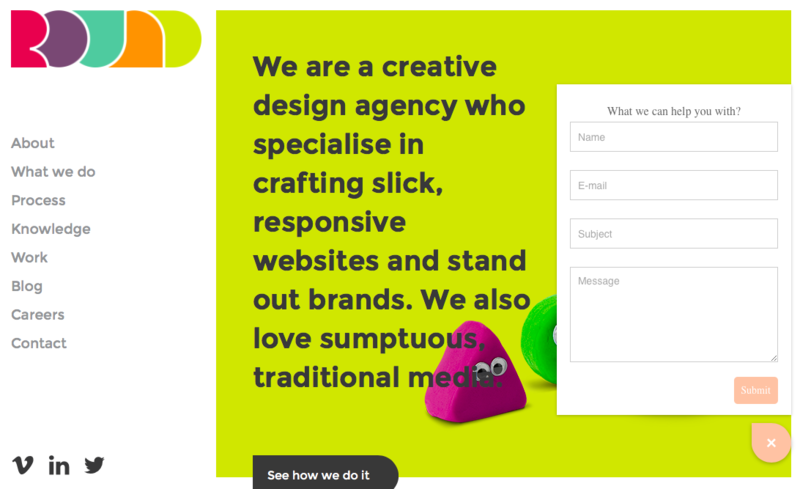 Round – the approachable creative agency who love to start new client relationships. They are fun to work with and, above all, they get things done. Help Catcher gives you the opportunity to start the dialog with you customers first. Just try to catch who your customers are and what they do with your product. You can communicate with them through email messages. Using Help Catcher means making informed decisions by asking for feedback at the appropriate time on any pages of agency’s site. Onboarding new potential users to become active customers is simple, and you can manage all requests in the admin area, with personalized replies. 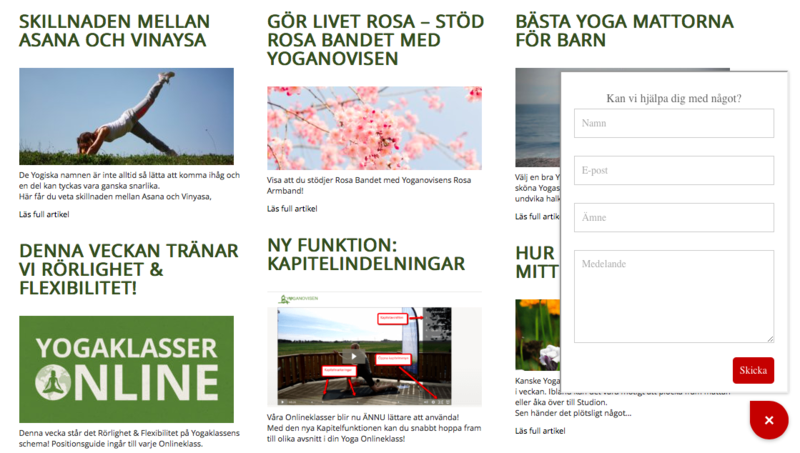 Yoganovisen – e-commerce project which offers cool yoga concerning things such as online courses, books, equipment, and clothes. E-mail fetching is better if you don’t have the opportunity for the online chat. Messaging through email and contextually inside the WordPress admin area has changed how we engage new users. You don’t need to use any external paid services to managed all customer tickets. All requests we have in the admin area and can see every ticket status and responsible manager. Help catcher is a new way to start the conversation with the new visitor, just make sure that our content is suitable and interesting. Your potential clients can reach you via email or by using the contact form. You can respond to emails and your customers will receive immediate replies. Catchers Helpdesk will poll an external POP3/IMAP account on a regular basis, retrieve email messages and convert them to tickets. Affordable and useful tool for saving you time. You can create saved reply if you answering the same question frequently. They can be utilized in any form of customer communication: from inquiry, to request, to support. You can filter all conversations on the ticket page for the easier organization. Filtering Conversations allow you to selectively view conversation messages by author and status. Public comments can be read by anyone who has access to the ticket. You can also add private comments to tickets. These comments are only visible to other agents, not to the ticket requester or any other end-users. You can export your tickets list to a CSV whenever you want to create custom reports or presentation for a manager.